This Exquisite hillside home in the prestigious Lawson Rock community is priced to sell. 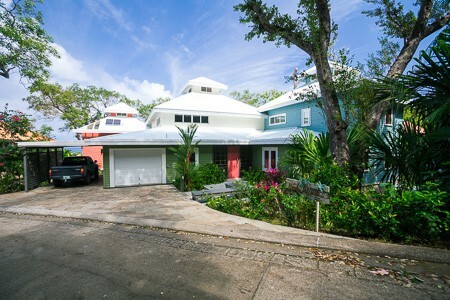 This luxury 4 bedroom home is built for Caribbean living and entertaining. Tastefully decorated with Tommy Bahama furnishings and other fine furnishings throughout the home to ensure comfort and style. The gourmet kitchen has custom made Bonewood cabinets, Spanish marble (Rojo Alicante) countertops as well as imported appliances & elite fixtures. The bedrooms & bathrooms also feature Bonewood hardwood flooring & cabinetry. The master bedroom features vaulted ceilings, walk out patio & master ensuite. The outside living area features a dining area, sitting area, an extensive BBQ area in addition to the pool. The indoor/out door living spaces have marble flooring w/patina finish. The outdoor sitting/dining & BBQ area can be closed off. There is a mosquito prevention system throughout the grounds. In addition it features a home theater & a caretaker’s living quarters. This property is ideally located just minutes away from the airport, shopping and amenities. The Lawson Rock community also features community pools, fitness center and 2,600 feet of manicured community beach.